Gated 5 Acre Luxury Horse Property with Views! 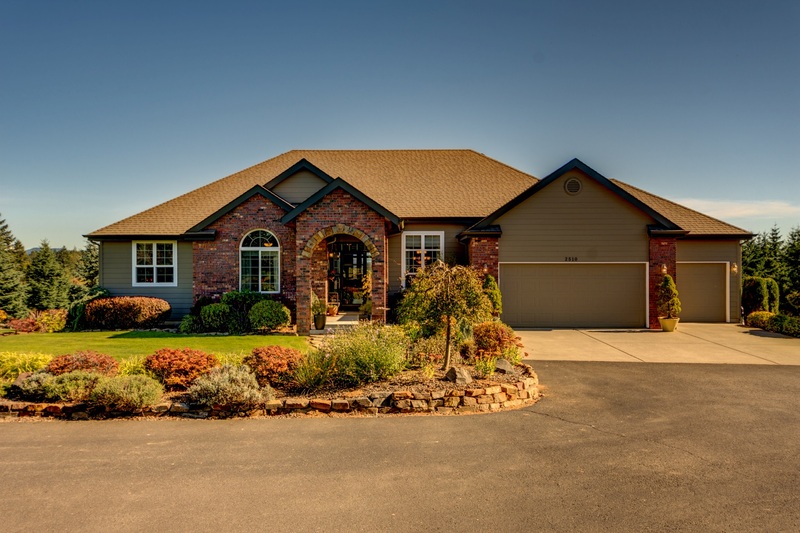 Impressive 5 acre gated ranch home with territorial and mountain views. High and vaulted ceilings throughout with hardwood floors, custom cherry stained alder cabinets, exposed beams and two fireplaces. Potential second living area in finished daylight basement with bedrooms, wet bar, full bathroom and covered patio with hot tub and water feature. Cross fenced pastures and 36 x 36 barn with stalls and RV parking. Only 10 Minutes to I-5!